We are proud to offer the following services at Arrowhead Oral and Maxillofacial Surgery, click below to learn more! The All-on-4® Treatment Concept is specifically designed to use only four implants that are available for immediate function. All-on-4® Treatment Concept implants do not typically require bone grafting, so they are an ideal solution for patients with areas of low bone density or volume. Dentures can be frustrating due to poorly adhering glues, slipping, and maintenance routines. Patients often find that they would prefer a more permanent solution for the replacement of their missing teeth, one that allows them to eat, talk, or laugh with the knowledge that their appliance will stay in place and look natural. When you arrive for your All-on-4® Treatment Concept procedure, Dr. Allard will administer an anesthetic to keep you comfortable throughout your surgery. He will then insert the posts of your dental implants into your jaw bone. The posts are made of titanium, a material that integrates with human bone and forges a strong foundation for your implant dentures. The All-on-4® Treatment Concept only requires the placement of four dental implants which are positioned strategically to distribute the pressure of your bite. This placement also allows Dr. Allard to maximize the amount of bone volume present, even for patients who have lost a significant amount of bone, eliminating the need for additional bone grafting procedures. Once your dental implants have been placed, you will be fitted with a temporary set of teeth which will be worn while the implant posts fuse with the bone. This process takes between three to six months to complete, after which you will return to Dr. Allard or the restoring practitioner working alongside Dr. Allard for the final placement of your permanent teeth. All-on-4® allows our patients to never go a single day without teeth, leaving the office with a beautiful smile on day one. Extractions are usually reserved only for cases in which no other treatment option will cure the infection or problem. A simple extraction is rendered when the tooth structure is visible and whole. Once appropriate anesthesia has been obtained, simple extraction does not require any incisions. Dr. Allard uses forceps to loosen the tooth, moving it back and forth until the tooth is released from the fibers and bone that support it. A surgical extraction is performed when the tooth structure must be accessed below the gum line or must be sectioned for complete removal. This may include teeth which have not yet erupted, severely decayed teeth, or fractured teeth. Surgical extractions may be performed with local anesthetic or with sedation dentistry, depending upon the severity of your tooth pain and the condition of your teeth. With this method, Dr. Michael Allard will make an incision in the gum line to gain visibility and access to the tooth structure. The tooth is then removed in parts, and the gum tissue is stitched back into position with sutures. Surgical extraction is common in cases of impacted wisdom teeth. Tooth extractions, both simple and surgical, are common procedures performed on a regular basis. To schedule your consultation for a tooth extraction, contact Dr. Allard in Glendale, AZ today. 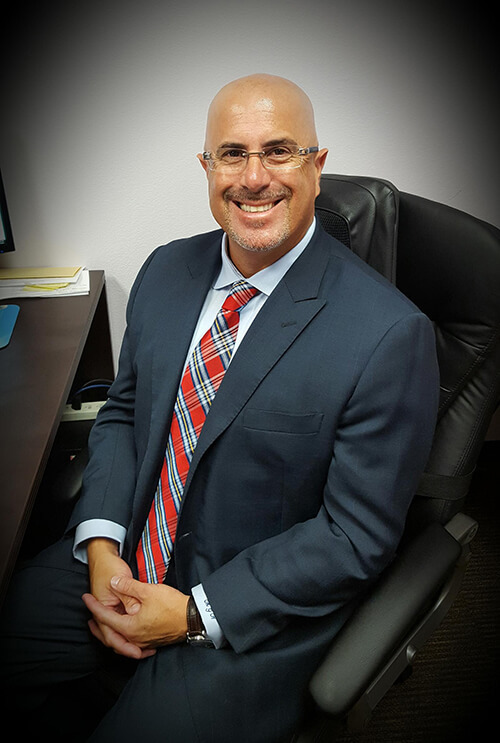 During your initial consultation with Dr. Michael Allard in Glendale, AZ he will discuss the type of procedure involved, your medical history and your level of anxiety. Various procedures require various anesthesia techniques. The choice of anesthesia is a personal decision and should be made only after an informative consultation with Dr. Allard. Also known as laughing gas, N2O is a popular form of sedation dentistry due to the immediacy of its effects. When the colorless gas is administered through a face mask, you will feel euphoric within five minutes, easing dental anxiety. When the mask is taken away, the effects wear off within minutes, leaving you free to drive yourself to and from your appointment. Moderate dental anxiety may also be eased by oral sedation. With this method, a pill is taken roughly an hour before you arrive for your appointment with Dr. Allard. By the time you arrive at our office, you will feel relaxed and drowsy. This is an excellent option for those who fear dental procedures but are also uncomfortable with the needle used for intravenous sedation. Administered via an IV, intravenous conscious sedation, deep IV sedation, and general anesthesia are safe methods of effectively treating patients with moderate to severe dental anxiety. State of the art monitoring devices—EKG, pulse oximetry, end-tidal CO2 monitors and pre-cordial stethoscopes, coupled with advanced training in these techniques, allows an optimal environment for maximizing patient care in a relaxed, comfortable environment. Regardless of the level of fear and dental anxiety, we can provide comfort through various sedation methods. To schedule your consultation with Dr. Michael Allard in Glendale, AZ, contact our office today. When one or more teeth are extracted from the mouth, soft tissue and bone can begin to regress or collapse. Without the tooth root to stimulate it, the surrounding jaw bone will often begin to deteriorate shortly following the loss of a tooth. If there is significant bone loss, it may be impossible to place dental implants and may become more expensive, invasive and time consuming to replace the lost bone. Loss of bone can lead to depressions or unevenness within the ridge, as its form is supported by the contour of the underlying bone. Ridge (or socket) preservation is a type of bone grafting procedure that rebuilds and stabilizes bone where an extraction has left an empty socket. It is recommended to have a ridge preservation procedure performed at the time of an extraction, as it helps to promote the aesthetics of the ridge and avoid bony defects. Bone loss in the jaw bone is common when one or more teeth have been lost due to injury, decay or trauma. Without the tooth in place to stimulate the jaw bone, the bone around the missing tooth will begin to deteriorate. It is common to experience bone loss around the teeth as a result of progressive disease, infection or trauma. However, bone loss can limit our ability to restore your smile using methods like dental implants or implant supported dentures. We offer bone augmentation and bone grafting procedures to replace lost bone. Bone grafting can also restore the proper facial contours where bone is missing in the font of the mouth. When you suffer tooth loss, your bone begins to deteriorate at the site of extraction. This is due to the fact that the root of your tooth stimulates your jaw bone. When the tooth is lost, its absence begins a process of deterioration. With prolonged multiple tooth loss, the consequences can be devastating, altering the underlying shape of your facial structure. The most commonly performed bone graft to prepare for your dental implant is an autogenous graft, which will be performed with local anesthetic. With this method, there are two surgical sites, one from which to collect donor tissue and the treatment site where the additional bone is required. Donor tissue is typically collected from the chin bone, under the front teeth. Dr. Allard can access the ample bone at the site through the inside of the mouth, leaving no visible scarring. Once this bone and a bit of marrow has been collected, it can be transplanted to the site of your future dental implant. Dr. Allard perfectly positions the new tissue at the treatment site and holds it in place with biocompatible titanium screws. Over time, the new bone will integrate with the existing, augmenting bone volume and rendering a suitable foundation for your dental implant surgery. To schedule your bone grafting consultation in Glendale, AZ, contact Dr. Michael Allard today. Facial trauma may occur as a result of an injury related to sports, work, or even a car accident. It may include fractured bones, knocked out teeth, or lacerations. This type of trauma requires a specialist familiar with the bones and nerves of the face, mouth and jaw to preserve and rebuild function and appearance. An oral and maxillofacial surgeon has the special training and qualifications to treat a range of facial trauma conditions, from lacerations to broken bones. Soft tissue refers to the skin and gums. When repairing damage caused by facial trauma to this tissue, it is critical to consider the nerves, arteries and glands that may also need care. Oral surgeons have the specialized training and knowledge to treat the injury you have sustained while achieving the best cosmetic result possible. Facial bones present a challenge, as they cannot be placed in a cast like other parts of the body, and care must be provided while reducing the visibility of both the treatment and the effects of the facial trauma. Plates and screws inserted through small incisions may be utilized to hold the bones in place while they heal. Jaws may be wired together to minimize movement. Facial trauma of the teeth may include damage, fracture, or displacement. Dr. Allard provides treatment to restore the health and appearance of teeth that have sustained injury, from crowns to dental implants. When a tooth structure cannot be saved and must be extracted, a dental implant can be an ideal substitute. When trauma or injury has occurred to the facial or oral regions, the skilled hands of an expert are necessary to maintain function and appearance. Contact Dr. Allard today for your oral and maxillofacial consultation in Glendale, AZ. Non-surgical methods of reducing signs of aging are a great way to appear younger and preserve your youthful visage. Dr. Allard provides Botox® and Juvéderm®/Restylane® injections as complementary services to his patients. If the stresses of everyday life have led to some unwanted wrinkles becoming more visible, the use of Botox® cosmetic may be right for you. Botox® is a simple, non-surgical, physician-administered treatment that can temporarily smooth horizontal forehead creases, vertical eyebrow lines, crow's feet, "smile lines" and "lipstick lines." Using his exceptional understanding of facial anatomy coupled with advanced techniques, Dr. Allard personally administers each injection himself. Dr. Allard can help you restore your youthful appearance safely, comfortably and effectively. Please schedule a consultation with Dr. Allard in Glendale, AZ to see if Botox® cosmetic is right for you! The normal process of aging produces skin changes that affect the way we look. With time our youthful skin appearance changes and wrinkles/folds begin to appear. Dermal fillers such as Juvéderm® and Restylane® (or other gels made of hyaluronic acid—a naturally occurring substance) are designed to improve volume and the amount of hydration of the involved skin. They serve to effectively smooth and increase the fullness of the skin in the face and lips. They can also improve the definition of the injected area. Strategically placing Juvéderm® or Restylane® in select areas can restore a youthful, healthy appearance in subtle ways. The goal of treatment is to produce a result that everyone notices and yet no one can tell. Please schedule a consultation with Dr. Allard in Glendale, AZ to see if the use of an injectable filler is right for you! Dr. Allard will examine your teeth to discover any damage to the structures, including cavities, fractures, or wear. Fillings, crowns, or veneers may be necessary. If you have missing or loose teeth, Dr. Allard may recommend dental implants or implant supported dentures to restore the appearance and function of your smile. Gum health is crucial to the health of your teeth and bone. As a bacterial infection of the gum tissue, gum disease slowly destroys the connective fibers and bone that hold your teeth in place. If you suffer from gum disease, periodontal therapy may be recommended before any replacement treatments, such as implant supported dentures, can be performed. Dr. Allard will assess your bite and the health of your jaw joints. A misaligned bite can cause unnecessary wear to the teeth and missing teeth can cause the surrounding teeth to shift out of position. Misalignment may also result in symptoms of Temporomandibular Joint Disorder (TMD). The position of your jaw has a significant effect upon facial shape, as does the absence of teeth. With slight movement of the jaw and the addition of implant supported dentures, facial appearance may be greatly improved. Full mouth reconstruction provides a return to function and appearance for those suffering from oral damage, decay, disease, or missing teeth. For your personalized consultation contact Dr. Allard in Glendale, AZ today. Orthognathic surgery is performed to reposition the jaw. For some patients, the lower and upper jaw may be out of alignment, affecting appearance, speech, or chewing function. Jaw surgery may be recommended to improve the underlying facial structure, as part of an orthodontic treatment, or to address chronic jaw pain. For some patients, the upper or lower jaw may grow too large or too small, due to varying growth rates or a birth defect. This creates a misalignment that results in jaw pain and can lead to the various symptoms that make up disorders of the TMJ, such as difficulty hearing, chewing, or opening the jaw. To correct this condition and ensure the proper function and appearance of the jaw, it may be necessary to alter the position of the jaw surgically. Jaw surgery may also be performed as part of a reconstructive treatment to correct facial trauma. As an oral and maxillofacial surgeon, Dr. Allard is trained to rebuild the bone structure of the face and jaw for patients who have sustained injuries. If surgery is part of an orthodontic treatment, Dr. Allard will coordinate with your orthodontist, who may first align the teeth within the jaw using braces before scheduling surgery. Then, Dr. Allard will surgically re-position the upper and/or lower jaw to improve the function of your teeth as well as the shape of your face. Changing the position of your upper jaw can have a visually transformative effect on the cheeks, nose and mouth. Meet Brenna: Corrective Jaw Surgery (2:48) from AAOMS.org on Vimeo. Disorders of the TMJ, facial trauma, and certain orthodontic treatments often necessitate the experience of a highly skilled oral and maxillofacial surgeon. Dr. Allard specializes in orthognathic jaw surgery to improve the function, aesthetics and health of your face, teeth and jaw. Contact Dr. Allard today for your personalized consultation in Glendale, AZ. Dentures are a convenient and affordable option for tooth replacement designed to rest on the gums, simulating the appearance of your missing teeth. Some patients, however, may have sharp edges on the jaw bone or too much gum tissue for a proper fit. When your teeth are lost or extracted, the socket remains. This supportive bone may have sharp edges or ridges, detectable even after the gum tissue heals. When dentures are placed, these points may create discomfort where they encounter your prosthetic, causing tenderness and a poor fit. 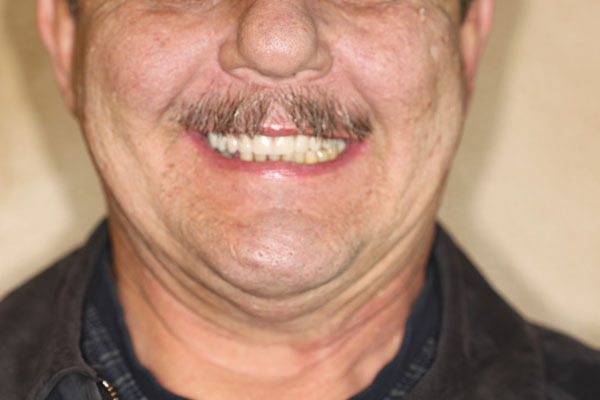 Dr. Allard can reshape or remove the bone or the gum tissue to deliver a smooth, even foundation for your dentures. Bone may be removed with an alveoplasty, a procedure to access the bone and reshape the edges. Many times, this is performed in conjunction with tooth extraction. Alveoplasty may also be performed to reduce or flatten a ridge that has formed in the jaw bone due to prolonged bone loss. Gum reduction or contouring is generally associated with the cosmetic procedure to correct a gummy smile. When gum reduction is performed for pre-prosthetic surgery, however, it flattens the gum line to render a stable base for your dentures. 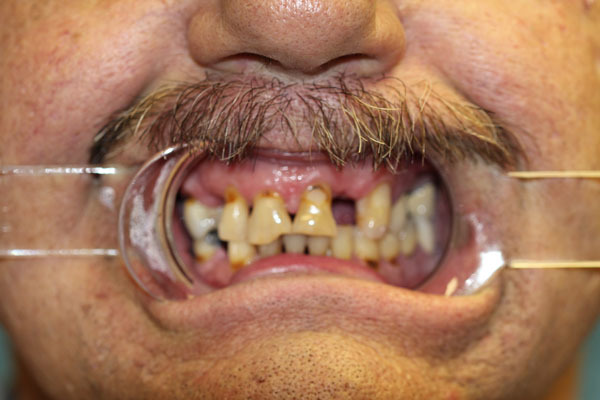 Bone and gum reduction surgery are often necessary to enable proper and comfortable use of dentures. For your personalized consultation, contact Dr. Allard in Glendale, AZ today. The maxillary sinuses are behind your cheeks and above the upper back teeth. The maxillary sinus are air-filled cavities. Many of the roots of the upper back teeth extend in to the maxillary sinuses. When these upper teeth are removed, the amount of bone separating the oral cavity and the sinus may be greatly diminished. As dental implants require anchorage in this bone, sinus lifting may be required to improve the amount of bone for dental implant anchorage. The technique entails entering the sinus from where the upper teeth were previously positioned. The sinus membrane is gently elevated and bone grafting is inserted into the desired area. Over the course of the next 4-6 months, this bone grafting becomes part of patient's own bone and dental implants can be inserted and stabilized in this new bone. There are many instances whereby sinus lifting and dental implant placement may be performed at the same time. Dr. Allard will review these instances in his consultation with you at your visit at the Glendale, AZ office.